In Florida one of the driving forces of our economy is agriculture. Recently, agriculture has taken a bad wrap in the state with different groups blaming it for the environmental issues. Along with people blaming agriculture for environmental issues there is often disputes over organic vs. GMOS produce. It is especially important for the people of Florida to be educated on such an important factor of our economy and learn the threats that face our agriculture industry. Jaime is a lifelong Florida resident who grew up in Southwest Florida. Jaime holds a Bachelor of Science degree in Finance from Boston University. He is a 4th generation Lipman family member, currently serves on the Board of Directors at Lipman, and is also the Director of Community and Government Relations at the company. Lipman is the largest open field grower and distributor of fresh tomatoes in North America with 28 locations throughout the country, including greenhouse growing operations in Canada and the Midwest. In August of 2017, he was appointed by Governor Rick Scott as one of 9 members of the governing board of the South Florida Water Management District. He also serves on the Government Relations Committee with the United Fresh Produce Association and Florida Fresh Fruit and Vegetable Association respectively. 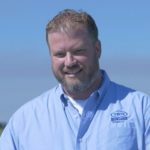 Stephen began working fulltime for TKM Bengard Farms, LLC in 2000 and is currently Director of Food Safety. In 2011 TKM was awarded Grower of the Year by American Vegetable Grower Magazine. Stephen is a member of the Wedgworth Leadership Alumni Association and past president. 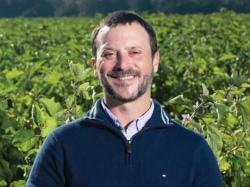 He is also on the Florida Lettuce Advisory Committee where he served as Chair in 2008 as well as member of the PBC Vegetable Advisory Committee. Stephen and his wife Krista a former Director of Leadership PBC have two children Juliet & James. Don’t miss out on this hot discussion. Registration and networking at 11:30 a.m., with lunch and program at noon. Please don’t hesitate to send in your questions prior to the event to info@swfltigerbay.org OR ensure you write them.